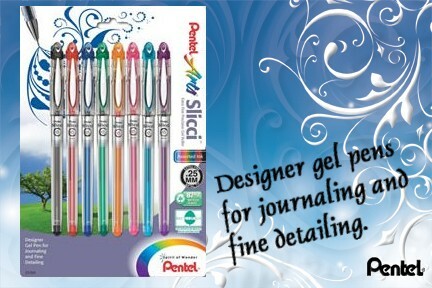 Designer gel pens for journaling and fine detailing. Smooth flowing gel ink and precise metal tip. Great for scrapbooking, personalizing stationary paper, cardstock, labels, etc. Various vibrant colors. 0.25mm Extra fine precision.